I am unequivocally opposed to an established religion in a democracy. Furthermore, I do not believe that democracy is a product of religious belief; more specifically I do not believe that the American Constitution is based on Biblical precepts. Anyone who reads the document and has any understanding of history knows that it is a product of the Enlightenment. If the God of the Bible had been the true inspiration behind it, it would have a lot more to say about eating pork, cleansing oneself from blood contamination, and not spilling one’s seed on the ground. It goes without saying that, in my opinion, the ills of this country are not due to the fact that we have strayed from God. Getting ‘more God’ into our government would make things worse, not better. If you are not convinced, let me remind you of some examples of pious societies – Oliver Cromwell’s England, Puritan New England, Spain of the Inquisition, Taliban-controlled Afghanistan, present-day Pakistan or Saudi Arabia, David Koresh‘s Waco, Texas, and Jim Jones’s Jonestown, Guyana. If it’s God-and-guns you want, immigrate to the dozen or so countries across the globe that consistently make the ‘don’t travel here for any reason’ list, and leave this country alone. I’m sure you think that running things according to your religion would be kinder and gentler than my examples – so did the Kool-Aid sipping acolytes at Jonestown. Are there countries that have no interest whatsoever in making their societies ‘more godly’? Yes, there are. They consist of the 20-odd countries that usually outrank the US in ‘happiest places’ and ‘best places to live’ polls that haunt the Internet. These countries, with much lower crime and poverty rates than our own, decided long, long ago that religion had no role to play in government, and their peoples are happier and healthier because of it. 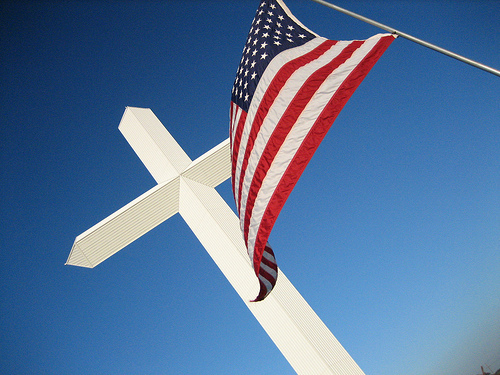 Seriously, no one in the religious mainstream – measured at it’s broadest swath, from Fred Phelps to any lesbian Episcopalian pastor – is truly interested in having the government involved in our personal religious beliefs – no matter what they say to the contrary. Freedom of religion is what allows you to be as loony as you like; once you start trying to legislate morality, you get a religious practice that looks a lot more like the Church of England, and no American is interested in that, not now, not two centuries ago. So tell your Congressman to give it up already. We all know that the vote to close down the one and only abortion clinic in the state of Mississippi sprung not from any moral conviction, but from the desire to squeeze every last vote out of the uneducated crowd, from Honey Boo-Boos’s inbred cousins to the cast of Swamp People. However, if I were forced to choose a religion that I think would work well with our American system, I’d have to go with the teachings of the Buddha. Now, I know what you’re thinking – Westerners who get involved in Eastern mysticism are about the flakiest individuals you will ever meet. It’s hard not to think of the words ‘Buddhist’ and ‘Hippie Narcissist’ together. And the Dalai Lama is charming enough in a ten-minute interview, but I don’t think his outlook would be particularly reassuring to Wall Street. But hear me out. First of all, Buddhism isn’t technically a religion, as it eschews the belief in a deity.This is probably why it never displaced Hinduism in India, its birthplace. In the land of thirty-five thousand gods, they would have accepted the addition of another one, but never the subtraction of them all. In fact, the Buddha considered a belief in god one of the ‘attachments’ or illusions that bring us so much misery. If your life is going to hell and your god never steps in to help you out, you add an additional heartbreak added to the one you are already experiencing. It’s devastating to have your crops destroyed by a storm; to think that your god could have stepped in but didn’t, that you’ve angered him or her in some way, that some deficiency in your worship may have indeed caused it – this is even worse. In America, whenever a tragedy occurs, a Hurricane Katrina or a stock market crash, we get the added pleasure of a Pat Robertson or Jerry Falwell, high and dry and insulated by hedge funds, telling us that we ourselves are to blame for disappointing God in some way. Or that God is trying to teach you something through your cancer. Or that the richest 1% in America own 40% of the wealth because God has decided they are good stewards – and you are not. Getting rid of the deity would remove so many roadblocks to becoming a more rational society in America. These problems that seem impossible to solve – global climate change, gun ownership, gay marriage, etc., would all become so much easier to solve when one side couldn’t claim to have the ‘mind of God’ on their side. 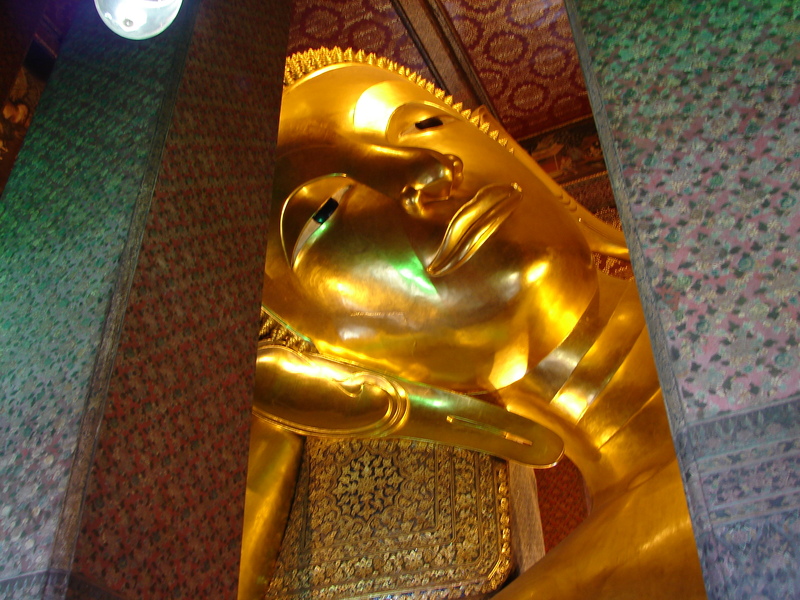 Secondly, Buddhism addresses directly the most negative aspect of capitalism – suffering. Market societies, efficient as they are, produce winner and losers. In past generations, almost everyone got to win a little bit, and the losers were few. Today, the winners win big, and everyone else gets the crumbs. A lot more people are left out in the cold. Buddhism doesn’t lay a guilt trip on you for being one of the losers – it makes you realize that even the so-called winners enjoy a temporary advantage at best. Since winning and losing is all about chance, there is always hope that the wheel will turn in your favor – but in the end, we will all suffer loss, all get sick, grow old, eventually die. Finally, the life of the Buddha fits into that American motif of privileged Americans spending their lives helping move our society in a positive directions. Siddharta Gautama began life as a prince, but decided to live an ascetic life in hope of improving humanity. Everyone knows that the rags-to-riches stories are a relic from the American past, and, unless you become a basketball player or a reality TV star, such a thing will not happen to you. We’re not interested in what the little guy has to say – let me hear about how the world works from guys like Donald Trump and Warren Buffet. The guy with nowhere to lay his head isn’t relevant to today’s America. From Thomas Jefferson to Mitt Romney, American politics have always been a place for the privileged to give something back to those less fortunate. And by the way, that last paragraph was meant to be sarcastic – in case the Mitt Romney reference didn’t tip you off.